Based on the movie co-written by Roald Dahl from a book by Ian Fleming, Chitty Chitty Bang Bang follows the adventures of eccentric inventor "Caractacus Potts", his children "Jemima" and "Jeremy", and "Truly Scrumptious" as they strive to save and repair the eponymous automobile only to face off against the dastardly "Baron Bomburst", who wants "Chitty" for himself, together with his child-hating wife "Baroness Bomburst", who have kidnapped "Grandpa Potts" and whose kingdom, "Vulgaria", is kept clear of children by the monstrous "Childcatcher". The production is surprisingly realised and is bright and vivacious throughout with lively direction by James Brining and amusing choreography by Stephen Mear. The sound design needs some more work and better balancing but the orchestra is sharp and the costume and scenic design by Simon Higlett is charming and witty and amply supported by Simon Wainwright's Video projections which contain some of the most brilliant visuals raising the production's standardbeyond the norm. As "Caractacus Potts", Jason Manford proves to be a most amiable, warm and engaging musical performer, radiating confidence in both acting and singing and he is stirringly supported by Charlotte Wakefield as "Truly Scumptious" who lends an air of sophistication to proceedings with a glorious voice to match. Andy Hockley as "Grandpa Potts" is suitably dotty and endearing and is a fine example of how well the show is cast (for the most part) although it's unfortunate that Phill Jupitus is remarkably lifeless at times as the "Baron" and appears rather bored when not mugging, making Claire Sweeney's job as the "Baroness" all the more trying. Thankfully she is more than up to the task and manages to keep their onstage scenes alive whilst shining all the more brightly because of it. Her "Bombie Samba" is something of a star turn and she deserves it. Jos Vantyler's "Childcatcher" truly is the stuff of nightmares and he is gloriously evil in the part and it really is a shame that he is not used more throughout the production (why was he not let loose among the audience in his search for children, for example?). Sam Harrison and Scott Paige threaten to steal the show as "Boris" and "Goran", respectively, and their double act as the agents of "Vulgaria" is a highlight of the production. In any show featuring child actors they always shine brightly and this is true of Elliot Morris who plays "Jeremy" and Darcy Snares who plays "Jemima" and whose engaging personalities and verve are in clear evidence throughout. It is true that the production has a few flagging moments and could do with some judicious musical trimming in the first act but this new touring version of Chitty Chitty Bang Bang does fly confidently and does so better executed than expected. 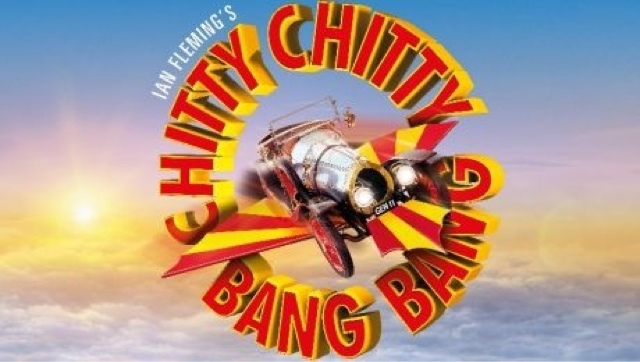 Chitty Chitty Bang Bang is at the King's Theatre, Glasgow until Saturday 29th October.